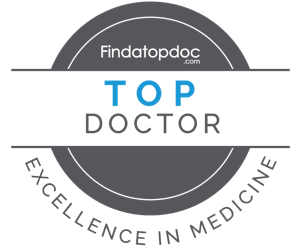 Home > Physicians > Michael J. Collins, M.D. Dr. Collins’ expertise in shoulder and knee surgery is sought after by thousands of patients from across the country. He is one of Illinois’ most experienced surgeons in the areas of total knee replacement and knee and shoulder arthroscopy. He is equally accomplished in the area of sports medicine and has served as team physician for numerous area school athletic programs. Dr. Collins completed his internship and residency at the Mayo Clinic in Rochester, Minnesota. Since joining Hinsdale Orthopaedics in 1983, Dr. Collins has built a reputation for personalized care and taking the time to work closely with each of his patients to achieve positive results. Dr. Collins is a Loyola University School of Medicine graduate. He is also an accomplished author and has published several memoirs. Dr. Michael J. Collins has been recognized as one of our Castle Connolly Top Doctors in Illinois for the specialty of Orthopedic Surgery since 2011. "Everyone I dealt with at the office was great...concerned, professional, extremely competent. Dr. Collins eased my mind immensely about my knee. I felt better right away. I definitely recommend him to others, I was a new patient for this visit, but will continue to be a patient as needed." "Everyone who I had contact with was every polite, friendly, and comprehensive in their responses. I would and have recommended HOA to others and will definitely recommend Dr. Collins should the occasion arise."